I know i’m a little late than usual but it’s been hectic lately with work etc but no time like the present hey? 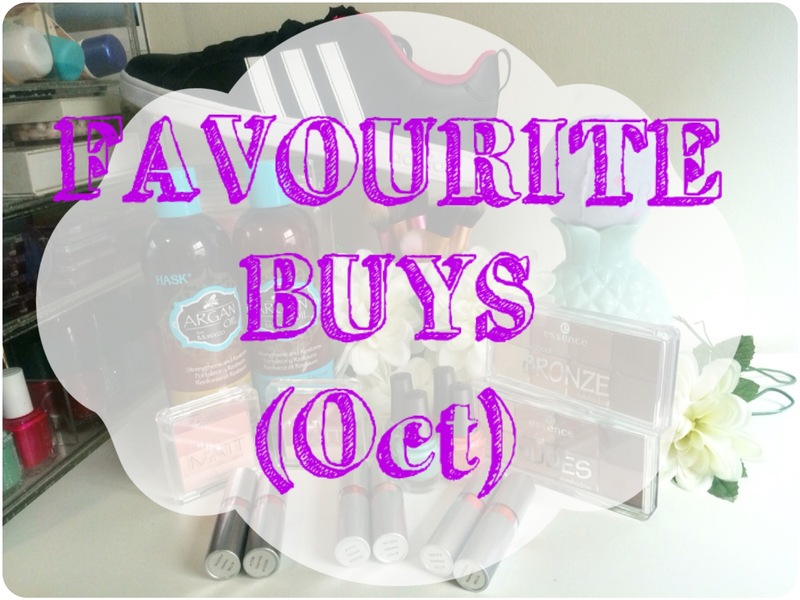 Hope you enjoy my favourite buys from October. What were yours? ♥ Morgan Taylor – Ooh La La Mini Collection – Journey to Paris with the Ooh La La Collection inspired by all things elegant & sophisticated.. the new Paris-themed colors from Morgan Taylor. The Ooh La La collection for Spring/Summer 2015 blends a bit of whimsy with classic, feminine hues. Three full-coverage polishes are paired with a sparkling, pastel party glitter. 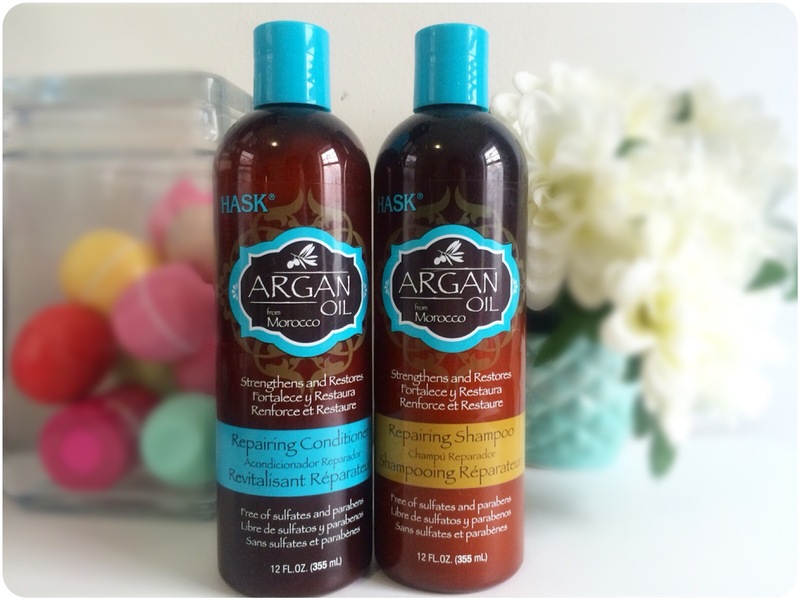 Hask Argan Oil from Morocco Repairing Shampoo. Infused with moisturizing Argan Oil, this shampoo penetrates the hair shaft, gently cleansing while it repairs damage and breakage, leaving even the most rebellious hair frizz-free, silky-soft and super glossy. Hask Argan Oil from Morocco Repairing Conditioner. Infused with moisturizing Argan Oil, this conditioner penetrates the hair shaft, gently softening and detangling while protecting against damage and breakage, leaving even the most rebellious hair frizz-free, silky-soft and super glossy. 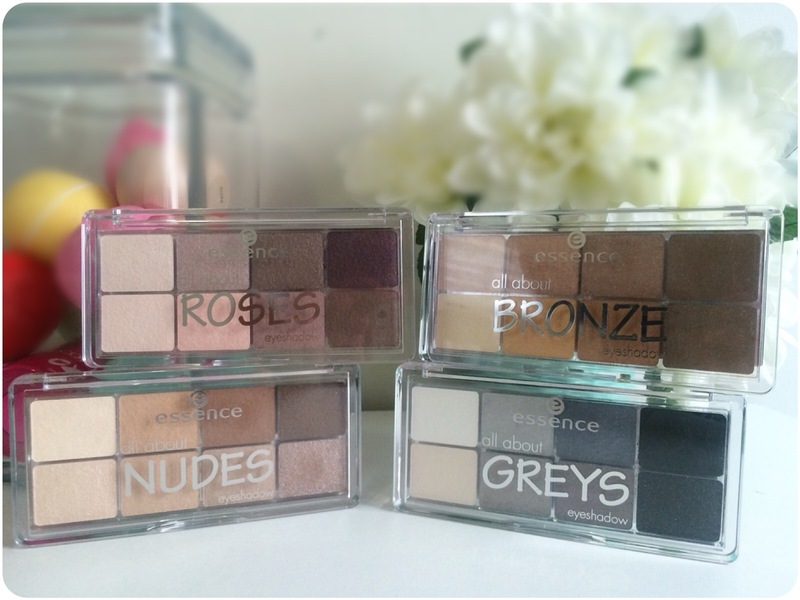 ♥ Essence – All About Eyeshadows – these are the new eyeshadow palettes with a wow-factor. each palette offers eight trendy, perfectly aligned colours – from light shades to medium and dark nuances. the soft and long-lasting texture with various effects like matt, shimmering or metallic allows you to create diverse looks. soft nuances by day and more intensive shades in the evening. 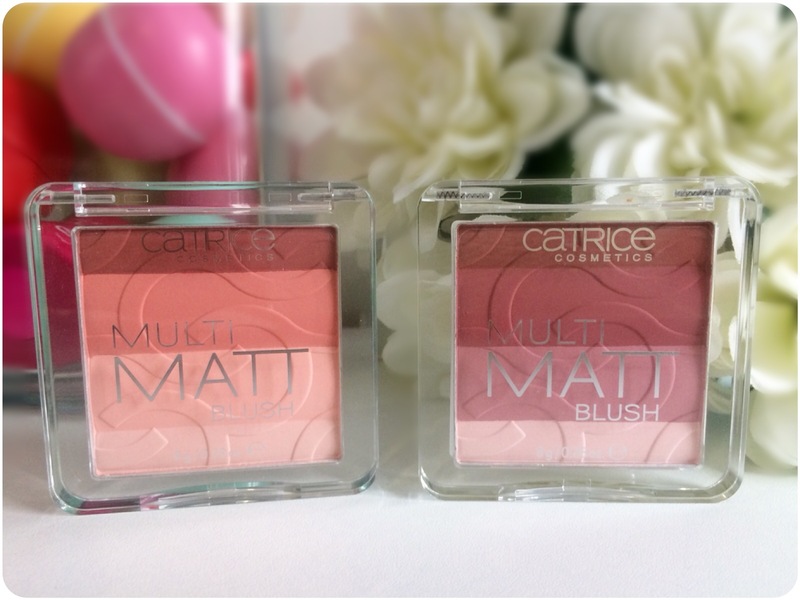 ♥ Catrice – Multi Matte Blush – Four matt, perfectly aligned shades united in one blush. The light and delicate texture of the powder is best applied with a large blush brush to give the cheeks a fresh touch. 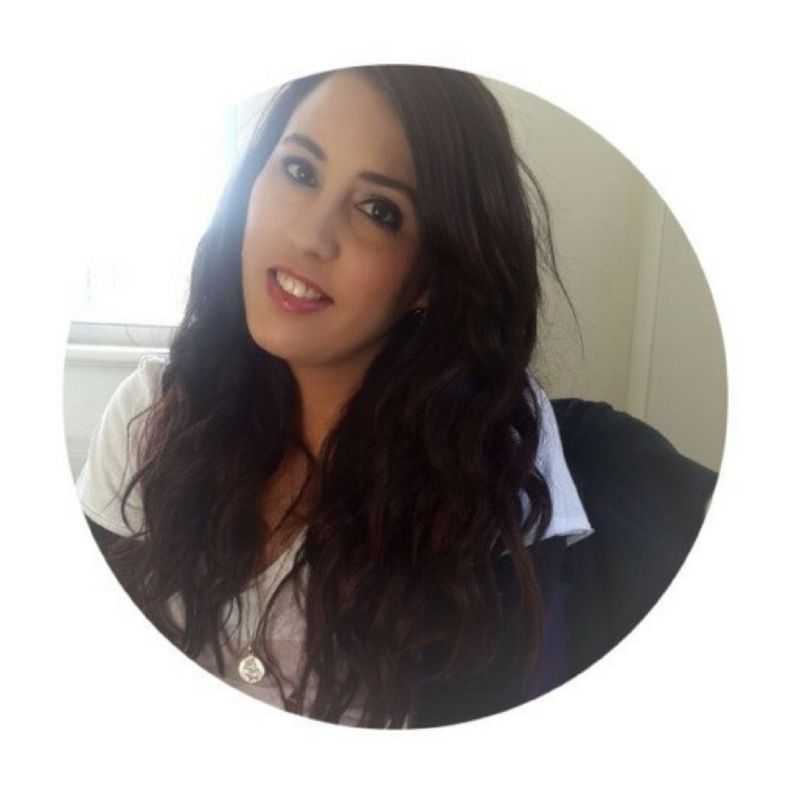 For a unique look, the colours can be worn individually or combined as desired. The result: a fresh and naturally beautiful complexion. 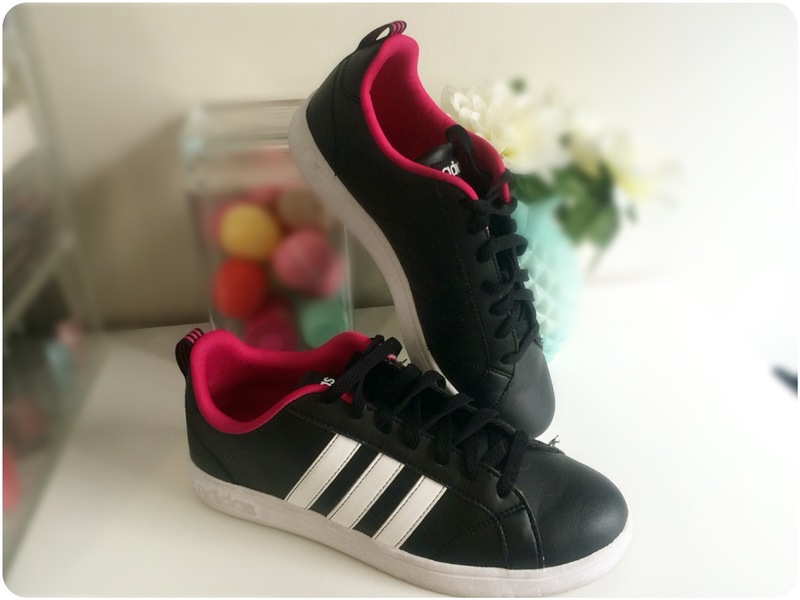 ♥ Adidas – Neo Sneakers – Courtset W – Women’s Adidas NEO Retro Sneakers. For skate-inspired style with a casual twist, lace-up and step out in the Adidas NEO Courtset! These low-profile sneaks sport soft uppers, leather heel patch and 3-stripes design, and flexible vulcanized construction. Keep your style on point on and off the board with the Adidas NEO Courtset! 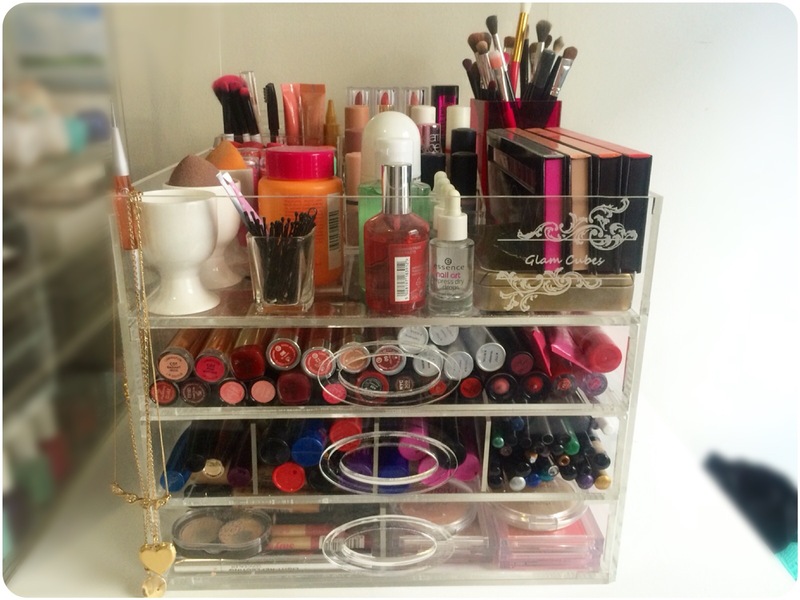 ♥ GlamCubes – A girl can never have too much makeup right? That only means that you are going to need somewhere to put it all. And in walks Glamcubes…. I’ve had my Luxury Storage unit for 27PinkX for a while now and it was completely full, so when i saw that Luzanne from Pink Peonies (SA) was chatting about the Glamcubes i knew it had to have it. The one i have has a flip lid compartment and 3 drawers. The bonus with Glamcubes is that is comes with drawer dividers !!! I got 3 with mine, i choose a 4, 6 and 8 dividers. I will be doing a detailed review on the Glamcube soon. 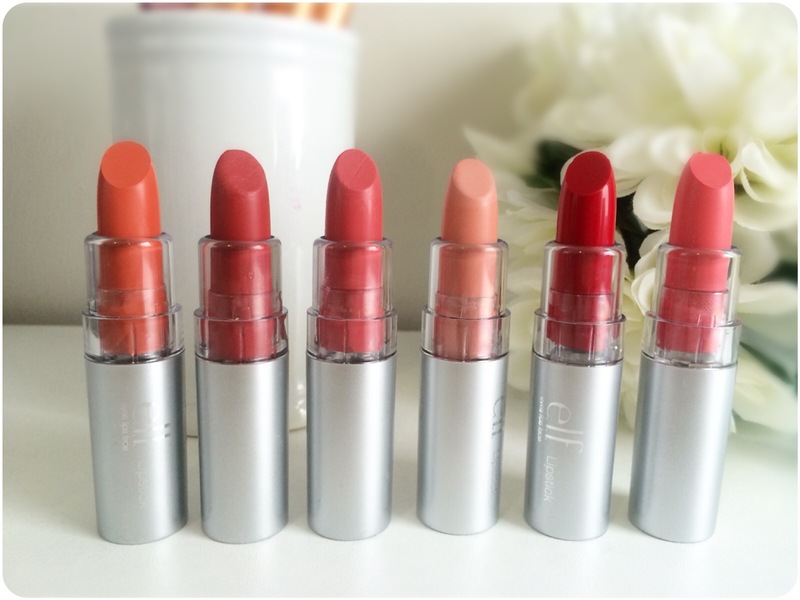 I ordered these from the US E.L.F site and my friend sent them to me when we did the internation box swop. E.L.F is coming to South Africa soon!!! Can’t wait. 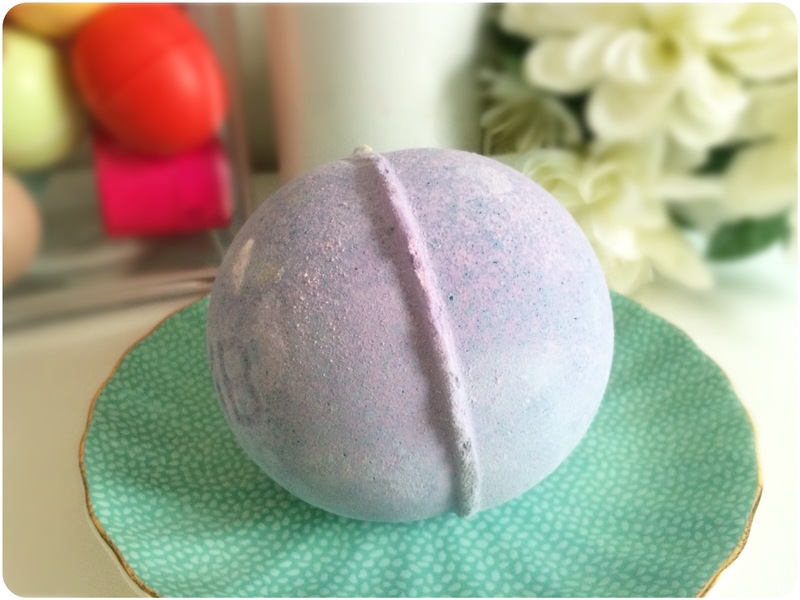 Lush – Blackberry Bath Bomb – Blackberry is one of our most beloved and popular balls of fizz. When you’re feeling off color and out of sorts, detonate this classic fruity number into your tub for a relaxing soak into a shimmering, purple haze. A burst of fruity fragrance, uplifting bergamot and frankincense will surround you like a cozy blanket dissolving all of your cares away.